MindTree tried its hand at making wireless handsets but failed. 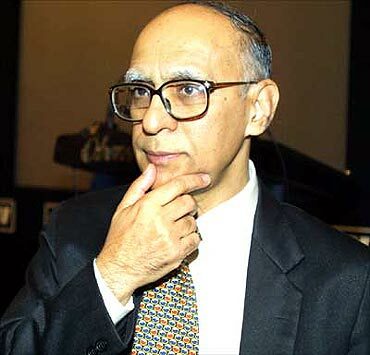 Now co-founder Ashok Soota has moved on to start a competing business. What's the way forward? Till about two years back, MindTree appeared to be doing everything right to get to its revenue target of $1 billion by 2014. Then, it made a move it regrets till date. It signed an agreement with Kyocera Wireless Corp (KWC) to acquire its Indian subsidiary Kyocera Wireless India (KWI) by shelling out $6 million or around Rs 30 crore (Rs 300 million). 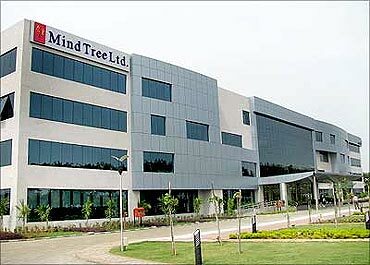 MindTree had identified product engineering services as one of its key areas of growth in 2009. It believed the Kyocera move would pay dividends as it strengthened this business - to offer design and technology services that range from chips to cloud computing. It christened KWI as N!Mo (Next in Mobility) and announced it would develop a ready-to-brand mobile handset product platform which would operate as the company's newest business unit. All the 600 people, who were earlier part of KWI, were to work with this new business unit. "We did see mobility as a good business opportunity, and we also shipped 45 million mobiles to the US. But the capital requirements were higher than we envisaged. Besides, clients were expecting us to hold inventory and also market the mobiles. That's not our strength. We were simply into white-label smartphones. We did not see this coming," acknowledges Krishnakumar Natarajan, chief executive officer and managing director of MindTree. The company is still paying the price for making such a move. Around 200 people are "still billable". The MindTree management had its work cut out. It had to cut losses and re-energise its workforce and business units. To this end, the company first repositioned the Kyocera product unit to a handset design service unit. The company will continue to sharpen its focus on the Bluetooth-related intellectual property segment and also the digital platform. "We should get a handle back on this business in the next one or two quarters," asserts Natarajan. 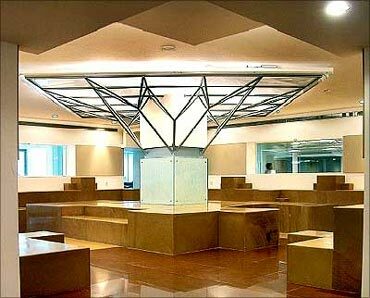 The MindTree management also began re-organising its entire business practice. A year back, it had seven business units. This April, it devised a new strategy which involved trimming down the units to just two - IT services (which accounts for 62 per cent of the company's revenues) and product engineering (38 per cent). "Our customers are demanding expertise and specialisation. Hence, one of the key elements of this rejig was to choose segments we did not want to be in," says Natarajan. And simplify it did. Under its IT services division, MindTree is concentrating only on a few verticals - banking, financial services and insurance, manufacturing, travel and transportation, retail and media. It moved out of the telecom, healthcare, energy and utility verticals. Similarly, under the product engineering services segment, MindTree has consolidated its research and development services, software product engineering services and 'next in wireless' units. The company has consolidated its data and analytic services; data warehousing and business intelligence practice and knowledge services that will be combined to form data and analytics solutions (DAS). In terms of growth enablers, MindTree has identified three offerings - DAS, infrastructure manufacturing services (IMS), and independent testing. "The idea of the rejig is to focus on niche areas where we will be counted among the top 5 players in the next few years. We have also found that customers are looking for partners who are specialists in certain areas. Though we have some clients in the energy and utility space and it is growing well, I do not think that in the next five years we can be among the top players in that segment," says Natarajan. Even within the manufacturing vertical, the company will focus only on the consumer and packaged goods and automotive segment. 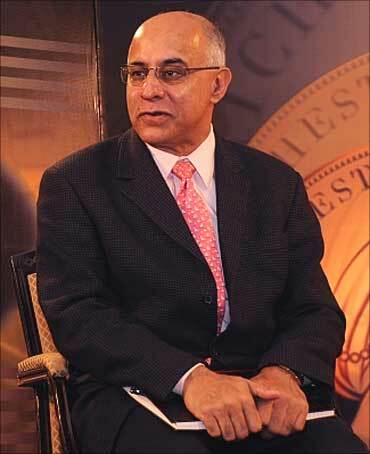 Image: Krishnakumar Natarajan, chief executive officer and managing director of MindTree. MindTree does not envision any impact on its revenue lines as it drops a few verticals. Natarajan admits that a few clients could move away. 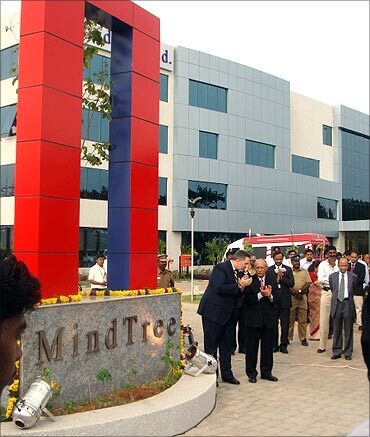 As of March 31, 2011, MindTree had 277 active customers, including 48 Fortune 500 clients. 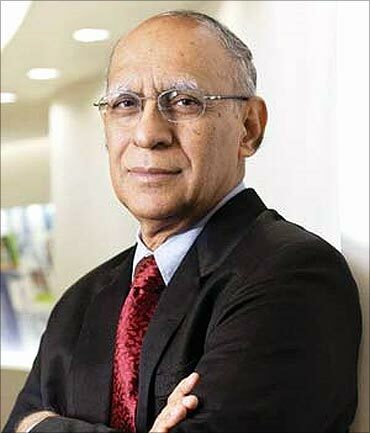 Even as the company was juggling with the Kyocera hit, the company's co-founder and executive chairman Ashok Soota quit MindTree this March. "His transition was factored in right at the time of the company's IPO (initial public offering) in 2007. It came into effect in 2008. Initially, there were queries from the clients. 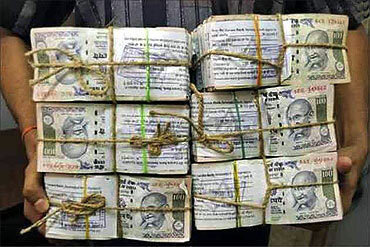 But there has been zero impact on deliverables," asserts Natarajan. Soota has since been selling his stake in MindTree to fund his new venture, Happiest Minds, which will be a competitor to MindTree. Natarajan acknowledges that the "markets are similar". However, "in the last four months, we have only lost two senior people. We may lose more but we have a leadership programme that consistently produces new leaders," says chief financial officer Rostov Ravanan. MindTree's Subrato Bagchi - vice-chairman who also has the title of Gardener - engages with the top 100 executives personally. 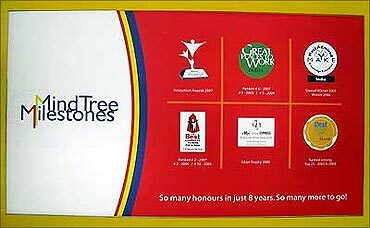 Incidentally, all of Soota's shares were acquired by Coffee Day Group's Coffee Day Resorts owned by VG Siddhartha who has now become the single largest stake-holder in MindTree through his group entities Coffee Day Resorts and Global Technology Ventures (around 14.58 per cent). 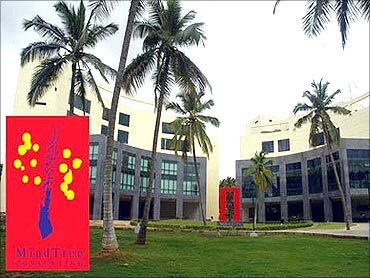 "This will not have any impact on the company's day-to-day operation since Siddhartha has been on MindTree's board since 1999. He is on our forex advisory committee and helps with client relationships. He lends a huge tactical value," asserts Natarajan. 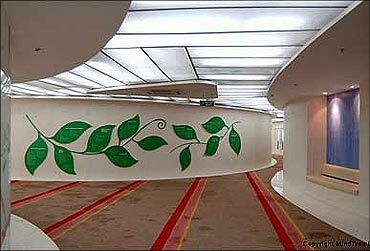 The company has also had its share of successes. For instance, MindTree, which has traditionally been strong in embedded technologies, acquired strong capabilities in software domain when it acquired Aztecsoft in May 2008. Aztecsoft had over 2,200 employees and catered to the North American, European, Indian and Australian markets. It had four delivery centres in India. 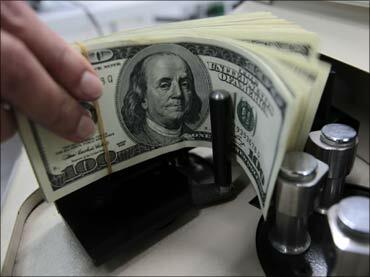 For MindTree, which aims to be a $1-billion company, the acquisition makes sense, say analysts. Besides gaining in scale, it got a captive client base. And while MindTree was strong on the IT services front, Aztecsoft focused on the growing outsourced product development space and in testing, and catered to the product engineering business. "Aztecsoft has catapulted us into the top 10 independent testing companies," asserts Ravanan. 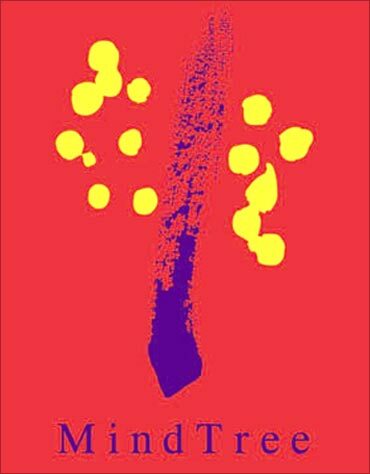 And last April, MindTree bagged the application development services segment of the Nandan Nilekani-headed Unique Identification number (UID) project called Aadhaar. The company recently launched MWatch, an integrated IT infrastructure management services platform, which will allow it "to increase operational efficiencies and stability". The company will use MWatch to provide IMS as managed services from India. The business engages around 1,000 people, and is one of its fastest-growing service lines. MindTree is also trying to diversify by getting into areas like automating highway tolls to avoid leakages and classify vehicles even under bad weather and light conditions. The company is partnering with Getronics in the area of remote IT infrastructure management, telecom and application support services to help it take up large-scale engagements and be measured on stringent service level agreement or SLA-based deliverables for managing critical IT infrastructure. This February, MindTree announced RUBIC (re-usable business intelligence components) GAZE, an intuitive business intelligence framework that enables rendering of data on top of live maps, including Google and Bing, for interactive data visualisation. "Our strategy of simplifying the organisation and focusing on our core strengths is yielding results. Our focus in the coming year will be to improve operational efficiency, concentrate on fewer verticals and, most importantly, take a leadership role in many of them. 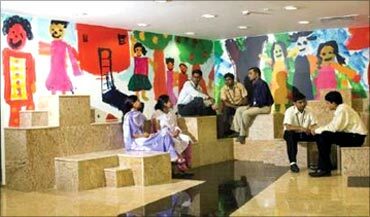 As per Nasscom estimates, the Indian IT industry is expected to grow at 16-18 per cent in 2011-12. We are confident of delivering higher growth than the industry estimates," concludes Natarajan.